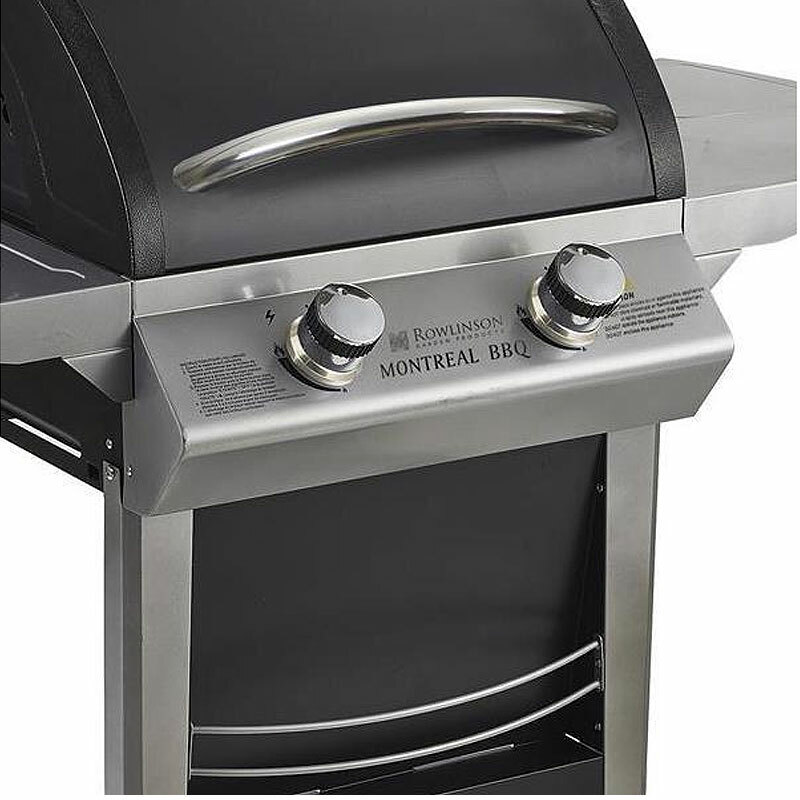 This Rowlinson Montreal 2 Burner Gas BBQ features two fully adjustable burners and is an ideal all round BBQ that will make barbequing easy and the neighbours jealous. Durable powder coated steel frame and side shelves. Black powder coated hood with built in temperature guage. Polished steel effect control knobs. Enamel coated steel cooking grid. 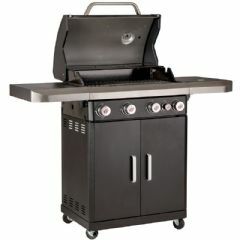 Propane gas regulator and hose included. 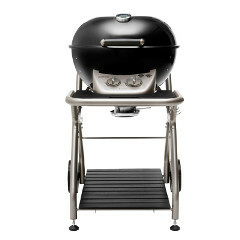 Featuring two burners, this is a versatile BBQ that is suitable for cooking a wide variety of outdoor meals. 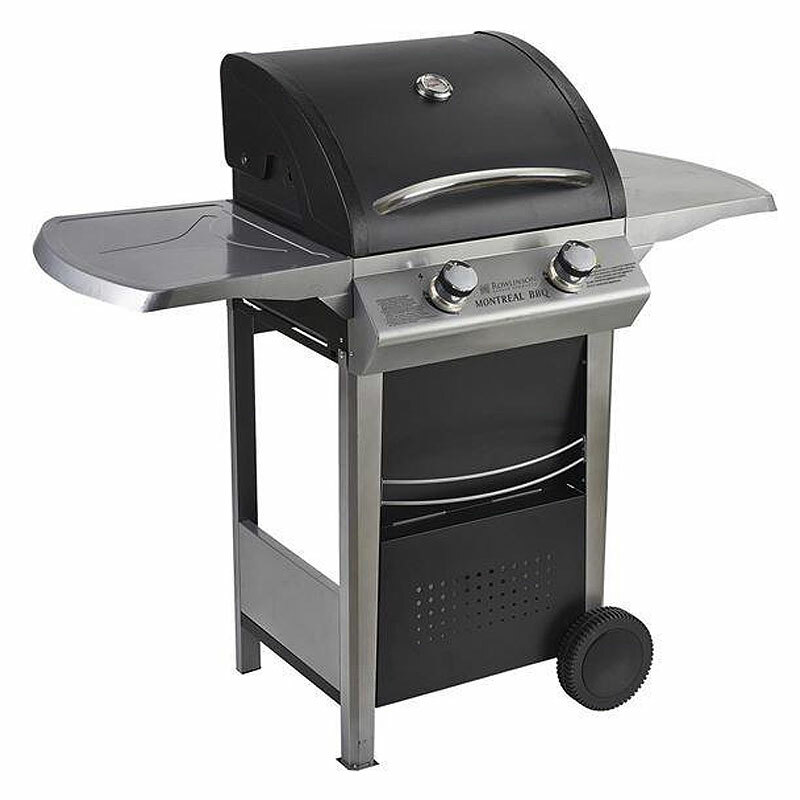 To make your BBQ cooking experience even more enjoyable, this BBQ features wide side shelves and large hood handle. 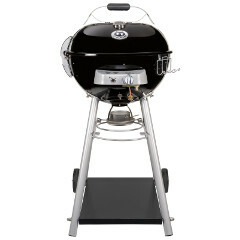 This BBQ features a large cooking area and easy close roasting hood. 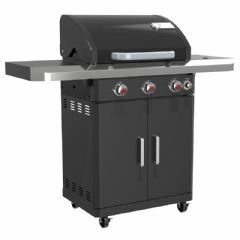 Underneath the BBQ is a large storage area for your gas equipment. 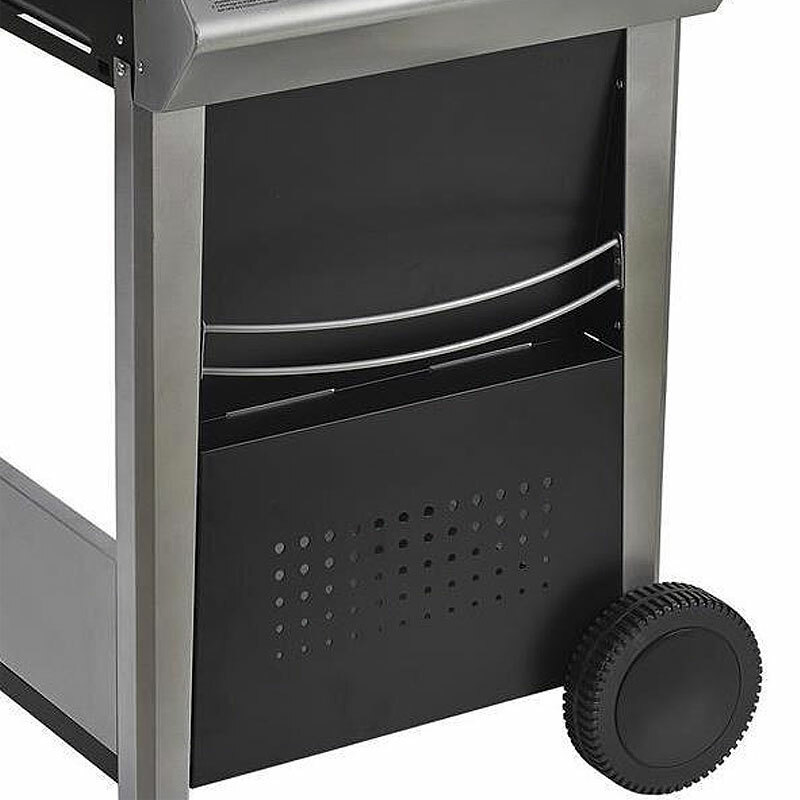 The two burners allow you to create specific and individualised areas of heat in your BBQ. 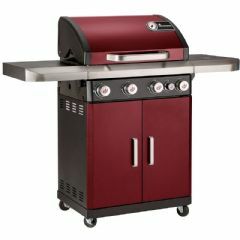 This means that you can cook a variety of meats at the same time at different temperatures. 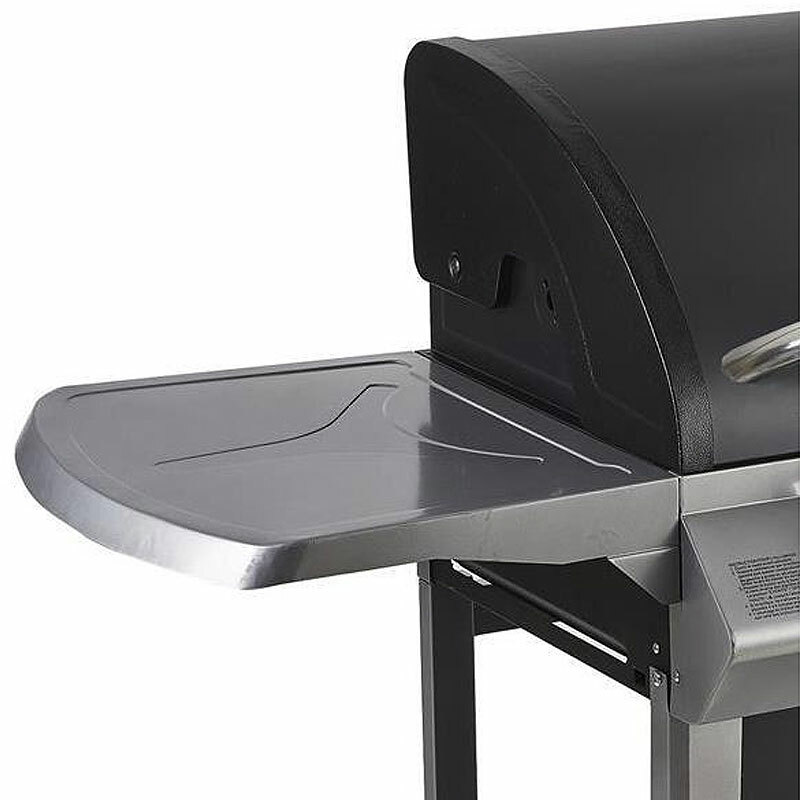 This BBQ has two durable wheels making it easy to manoeuvre. Ideal for preparing a feast for a family gathering. Please note: Your barbecue should be kept covered at all times when not in use. For a cover to give optimum performance, please ensure that you remove any moisture from the model before placing the cover over it to avoid mould forming underneath. Even when a barbecue is placed inside a shed or garage, please continue to keep it covered to avoid dust and insect build-up.